Wide-known spa resorts of the Caucasian Mineral Waters have been always attractive for those who love spa resort treatment but the complex “Mashuk Aqua-Therm” enjoys a particular popularity among other Caucasian spa resorts. This health center is located in the vicinity of Zheleznovodsk in a special resort region of Russia – the Caucasian Mineral Waters. Besides, the CMW spa resort “Mashuk Aqua-Therm” provides a modern infrastructure including a SPA, a café and a bar. Moreover, it has its own park, a pine forest, a spring-fed lake and a unique climate with a clean mountainous air which will help one not only to be cured of various diseases but also to have an appropriate rest. The health center specialization is defined by its own well site of the healing Slavyanovskiy source with an impressive name “Legend of the Caucasus”. 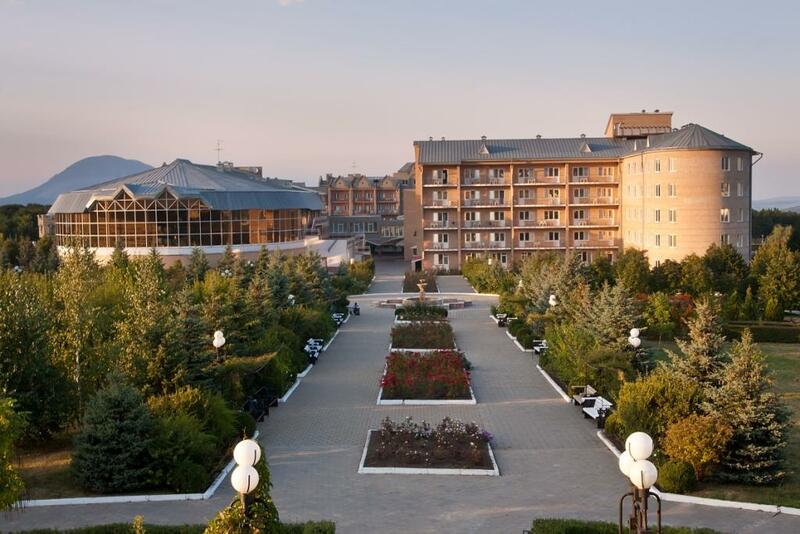 Besides, the spa resort “Mashuk Aqua-Therm” uses its own storage of natural Tambukan muds. “Mashuk Aqua-Therm” has licenses for many types of medical activities and a treatment and prevention facilities of a high accreditation while a high-qualified work of our professional team in combination with climatic factors make this resort wide-known, and vouchers to the Caucasian Mineral Waters spa resort are affordable for most Russian families.